Six photographs from my African wild dog book Underdogs have won an award at the International Conservation Photography Awards in Seattle, USA. In total, seven of my images feature in the winning portfolio currently exhibited at Seattle’s Burke Museum. You can also see the images on the competition’s website icpawards.com. 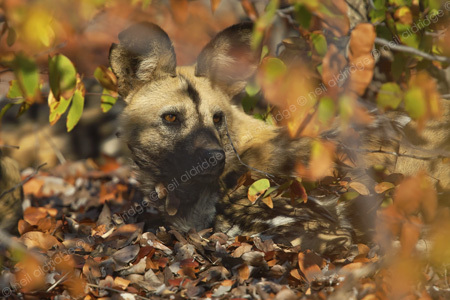 The six African wild dog photographs feature in the Documenting a Conservation Project category. My image of the colourful Viru bog in Estonia features as highly commended in the Landscape category (join me in Estonia in 2013). The awards were held at the Burke Museum of Natural History and Culture on Friday the 29th of June. 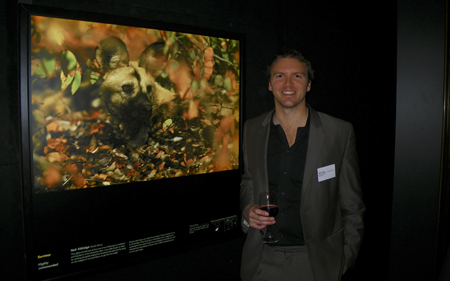 I also presented a talk to visitors and fellow photographers on my work with fellow ICPA winner and conservation photographer Sam Owen at the public opening of the exhibition on Saturday 30 June. The Underdogs project has enjoyed great success internationally. This prestigious award is the project’s latest achievement in a list that includes the 2010 Wildlife Photographer of the Year competition and an ILCP exhibition in the United States. See the Underdogs gallery on my website or get your signed copy of the book via the online shop.